The United Arab Emirates (UAE) is projecting itself as a leader of the inter-communal and inter-faith harmony with the first-ever visit by a Catholic pope to the Gulf and an inter-faith conference that is as much about dialogue as it is about absolute political control. The UAE, unlike its ally and more powerful neighbor, Saudi Arabia, increasingly allows adherents of other faiths like Jews, Christians, and Hindus, to openly worship and practice their beliefs. 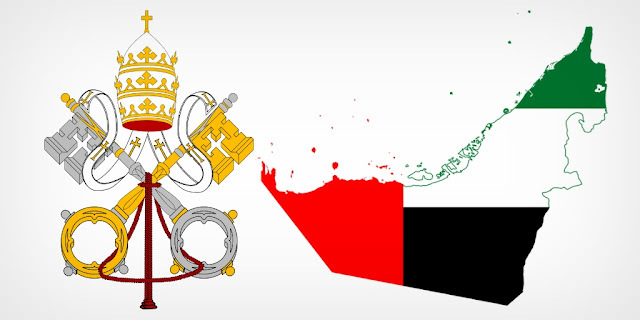 In hosting the pope as the star of an interfaith dialogue organized by the UAE-sponsored Council of Elders, entitled International Interfaith Meeting on Human Fraternity in the United Arab Emirates, the UAE hopes to cement its position as the icon of Muslim tolerance. The council is part of a broader UAE and Saudi effort that includes groups like the Global Forum for Promoting Peace in Muslim Societies and the Sawab and Hedayah Centres that aim to counter the influence of controversial, Qatar-based Islamic scholar, Sheikh Yusuf al-Qaradawi, the Muslim Brotherhood, and more political and militant Islamist forces. “I have traveled to the Vatican to elevate interfaith understanding with His Holiness, Pope Francis. I visited the Grand Synagogue of Paris and the United States Holocaust Memorial Museum. I welcomed the highest-level delegation of U.S. evangelical Christian leaders ever to visit Saudi Arabia… Among my proudest achievements (as justice minister) was licensing Saudi Arabia’s first women lawyers. I also reformed the Saudi judiciary system,” Mr. Al-Issa wrote. In line with ultra-conservative precepts, Mr. Al-Issa’s past track record includes a denunciation of witchcraft defined as including, among other things astrology, the use of plants for medicine, palm-reading, and animal calls. In doing so, the UAE’s advocacy of religious tolerance and political intolerance is part of a global struggle about values that underlies tectonic shifts shaping new world order. That struggle involves a redefinition of concepts of tolerance designed to ensure autocratic regime survival and enhance ways of avoiding and/or resolving conflict without bolstering transparency, accountability and a free flow of ideas.